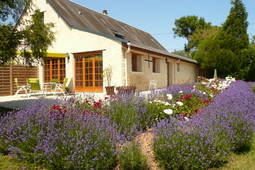 Self-catering Gîte with 3 bedrooms and 4 bathrooms. Sleeps 12. Saturday changeover. 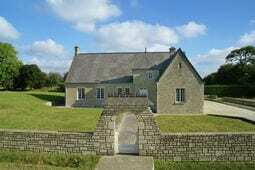 Doville is found in Manche in the Normandy region of France. The closest airport to Doville is Dinard Airport (92 km) slightly further afield are Deauville Airport (122 km), St. Brieuc Airport (131 km), or Rennes Airport (141 km). Within easy reach of Doville things to do such as as Coutances Cathedral (32 km), La Cité de la Mer, Cherbourg (35 km), D-Day Landing Beaches (50 km), or Bayeux Tapestry (Musée de la Tapisserie de Bayeux) (60 km) are all worth visiting. See our local area information above for more useful tips and suggestions on accommodation nearby or you can jump straight to accommodation in Doville or take a look at property in Doville. 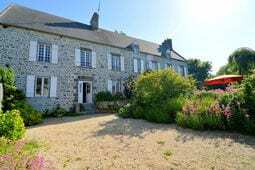 Some common requests we have received from others related to visiting Doville in France include Normandy, Self Catering Normandy, Normandy France. 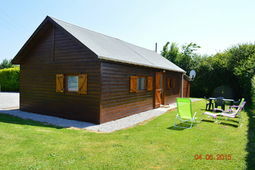 I you are looking for some choices beyond Doville we have a great selection of places to stay in France and also real estate in France	if you require it. Alternatively you might consider Hotels Near the Louvre Museum in Paris and Chamonix Ski and Snowboarding Holiday Rentals in France or France Vacations In The South Of France. If you pass through Doville leave a recommendation using the link above, we would love to hear from you and other users will appreciate your knowledge.